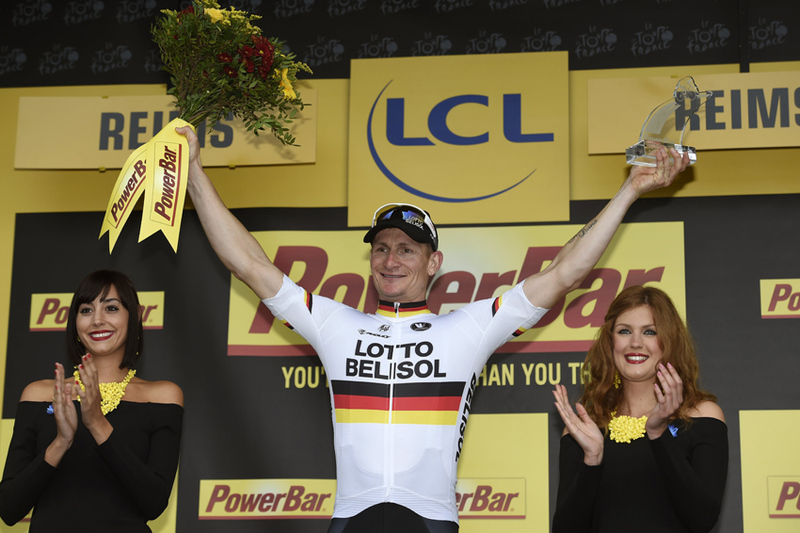 Andre Greipel (Lotto-Belisol) came out of the shadows to claim the sixth stage of the Tour de France in Reims today. The German champion, who until now had under-performed in the sprints, overcame a late lone attack from Omega Pharma-Quickstep’s Michal Kwiatkowski to finish ahead of Alexander Kristoff (Katusha) and Samuel Dumoulin (Ag2r-La Mondiale). Kwiatkowski had threatened to spoil the sprinters’ party with an opportunistic attack around the kilometre to go mark but was washed away by the fastmen as the charge opened up in the final 300m. Marcel Kittel, who’s won the three previous sprint stages, did not contest the finish after being tailed off in a dramatic run-in which saw the bunch split to pieces in crosswinds. The Giant-Shimano rider conceded that he didn’t have the legs after his team lost control at the head of the race. 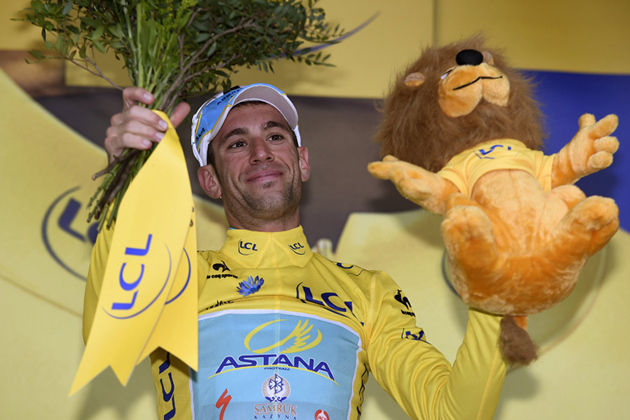 Vincenzo Nibali (Astana) retained his overall lead after finishing the 194km stage from Arras in the front group. Arnaud Gérard (Bretagne-Séché Environnement), Tom Leezer (Belkin), Luis Maté (Cofidis) and Jérôme Pineau (IAM Cycling) formed the day’s early breakaway and were left to linger out front until 20km to go. . It was at around a similar point in the race that the wind whipping across the exposed Champagne plains caused splits to open in the bunch. Katusha’s Joaquim Rodriguez was amongst the biggest names to get caught out, while Egor Silin (Katusha) and Sky’s Xabier Zandio were both forced to abandon after a couple of crashes around the 80km to go mark. Green jersey wearer Peter Sagan also took a tumble. After treatment to road rash on his left arm at the doctor’s car, he returned to the fold and finished fifth. For much of the final 50km, the bunch was lead by trains from Giant-Shimano, BMC, Saxo-Tinkoff and Astana, all clearly anxious about the effect the wind might have on their GC and stage ambitions. Entering Reims it was Omega who took to the front, ostensibly in an effort to set up Mark Renshaw for the gallop. After Katusha and Cannondale took over the running, Kwiatowski launched his surprise move and quickly opened a good gap. With Renshaw policing in the wheels, the team’s prospects looked good. 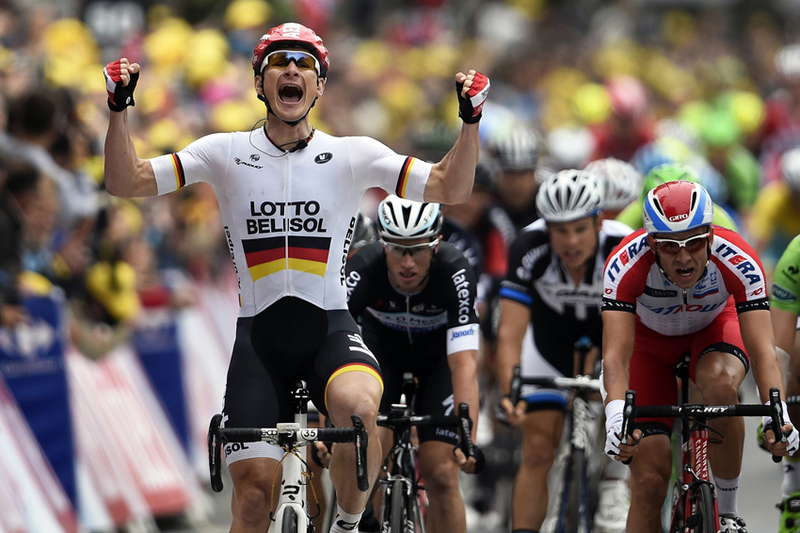 But Greipel was in the best position to exploit the situation.